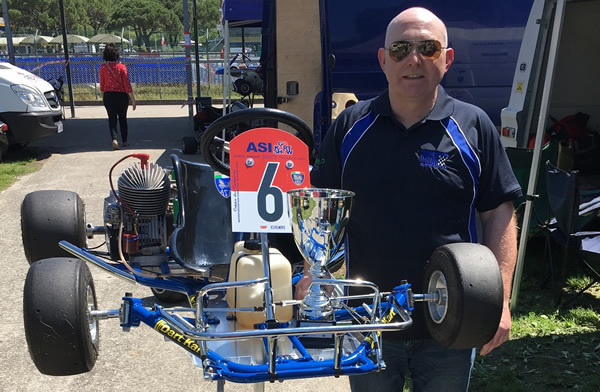 Dave Malpas reunited with his Sabre 30 years on …..
On his first ever visit to the prestigious ASI Go Kart Show Mike Topp received this magnificent trophy in recognition of his KR Sabre – Hewland restoration. 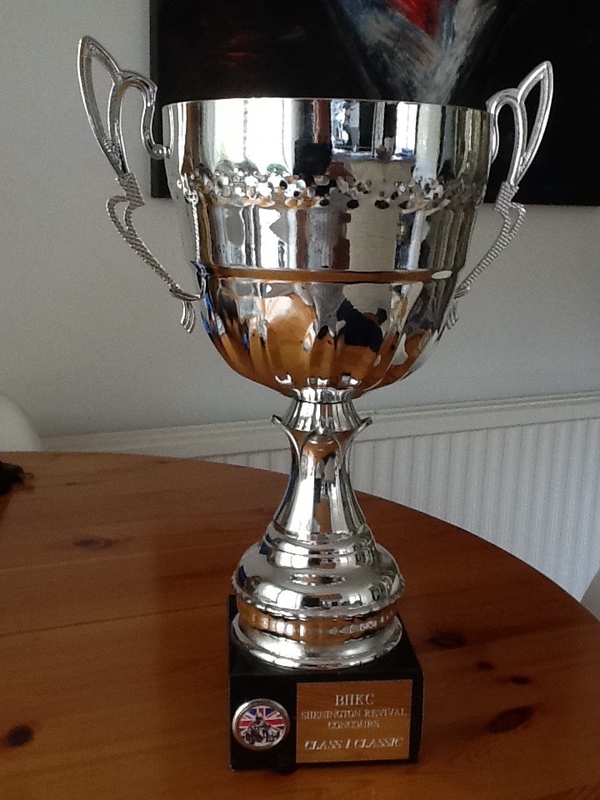 Dennis Dunne with this magnificent trophy in recognition of his 1976 Zip Euro- Hewland restoration completed by Mike Topp. 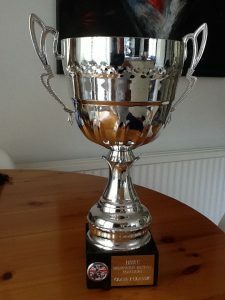 – Two visits two trophies! Two visits two trophies! Dennis Dunne with this years magnificent winner’s trophy for his 1983 Dart-Parilla TT27 restoration completed by Mike Topp. 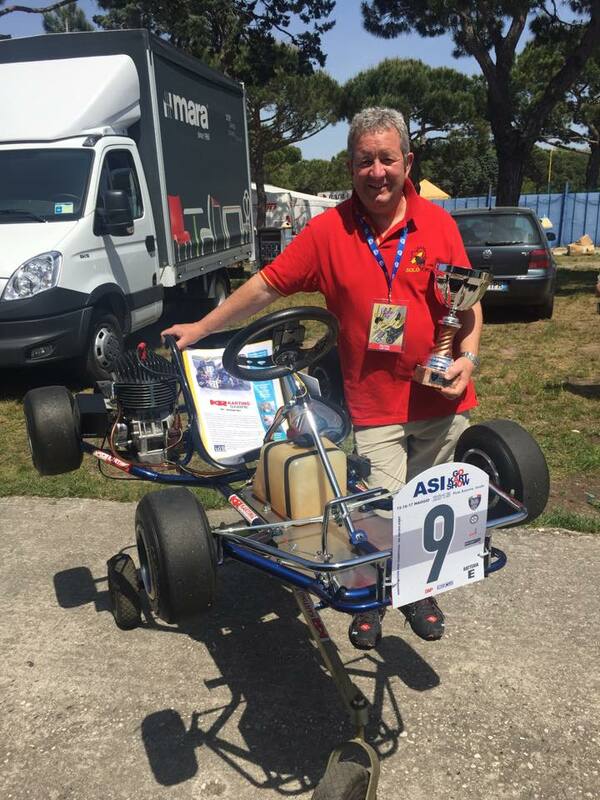 Surprise of the event was winning the trophy for Best 125cc Class 4 kart. It came straight from its last test-day with just my normal preparation for a test! There was once a time . . . .
when old race karts were banished to the far corners of workshops and garages to become repositories of rusted, oxidised or broken parts. By 2005 people began to realise that some of these karts had made motorsport history and so the task of restoration was begun. Many people have the knowledge, skill and time to complete these restoration projects. 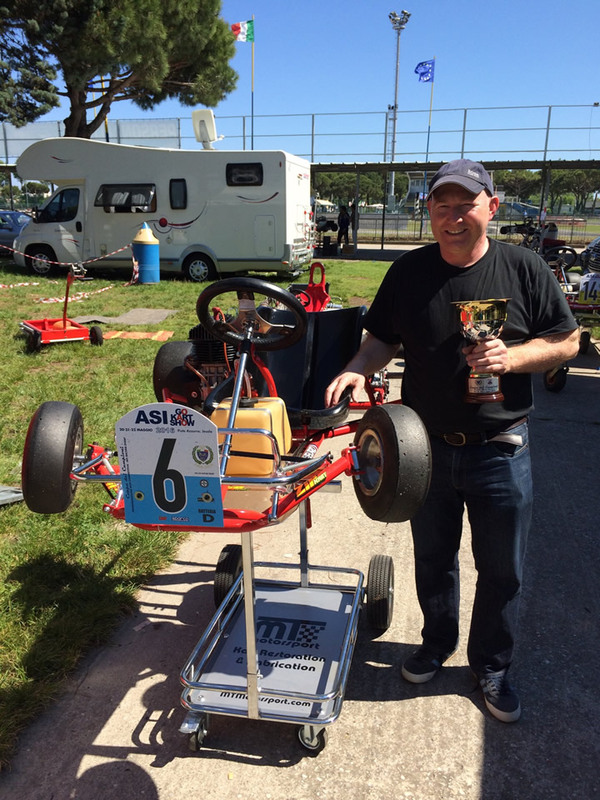 However, in these current times there are also those who want to drive and indeed race historic karts but don’t have the time or skills to do it themselves. 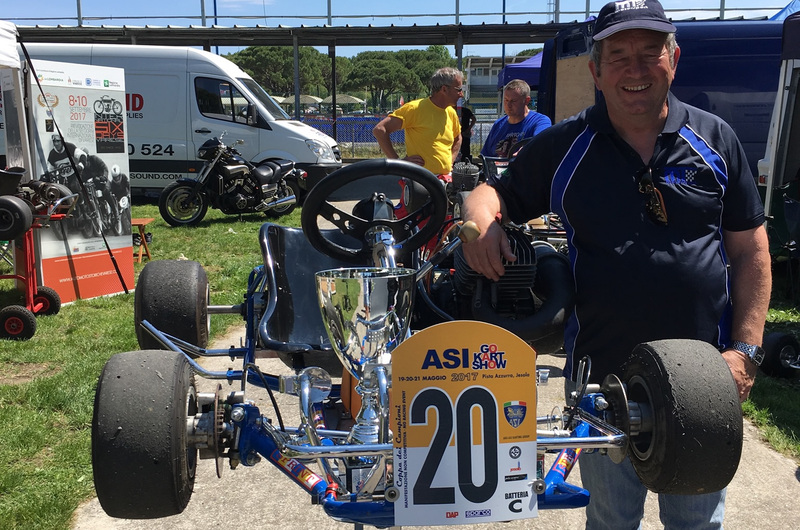 This is where Mike Topp is able to help . . . .
Having completed the stunning restoration of the KR Sabre kart in 2013/4 followed by his 125cc Deavinson Sprint – Mugen Honda project, Mike is available to undertake further restorations of both class 1 and class 4 chassis. To discuss your project . . . .
Mike adds Shenington Revival Concours to the trophy list!